An avant-garde blend of influences fashioned together by a master craftsman of guitar music. Some songs are instrumental, all produced with the intention of highlighting the unique abilities of one of Nashville's most versatile up & coming guitarists. Musician on a mission: save our world from the manic & melancholy. "By using his training in Jazz and incorporating his other influences such as folk, pop and rock, Shane has created a diverse yet cohesive and highly accessible sound." "If you haven't heard Shane Scheib yet, get ready to live"
Shane Scheib was born in Eastern Washington State and grew up in the small rural communities of Coulee City and then Ellensburg. He founded various bands including Native Born Alien and Fall Away Façade. He received training in Jazz guitar at Jeff Berlin’s Player’s School of Music in Clearwater, Florida and studied guitar theory under jazz guitar guru Yuzuru Tanakura. 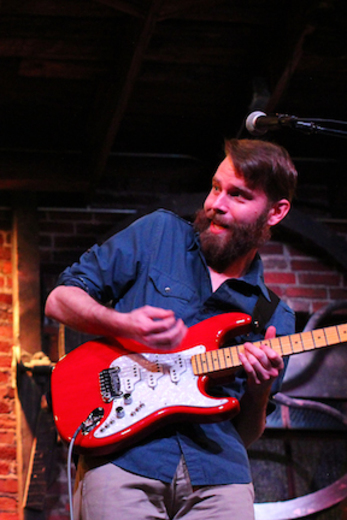 After acquiring a business degree from Central Washington University and working a few years in global logistics Shane left the United States for missionary work and held several odd jobs including being a chauffeur, milking cows, and teaching guitar lessons. While overseas he started a Guitar Club in the Maori village of Waharoa, NZ, performed for troops at Yokota U.S. Air Force Base in Fussa, Japan, and recorded music in Auckland, NZ for a YWAM compilation album. Upon returning stateside he worked on a salmon fishing tender in the Bering Sea, and the skipper, a retired Nashville songwriter encouraged Shane to make the move to music city. Shane took that advice and now resides in Nashville where he recorded theGenrelicious EP, an avant-garde blend of influences fashioned together by a master craftsman of guitar music. Some songs are instrumental, others have vocals, all produced with the intention of highlighting the unique abilities of one of Nashville’s most versatile up and coming guitarists. 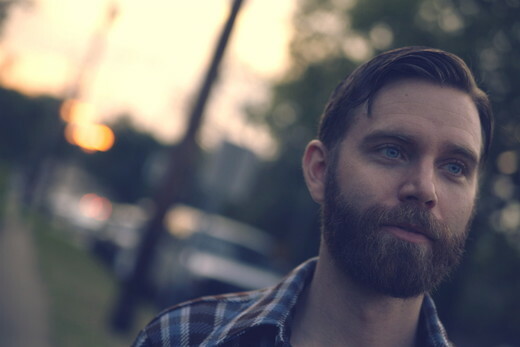 Shane has recently released several singles including 'Just Friends' and 'Blood on the Floor', the latter for which he also released an official music video. 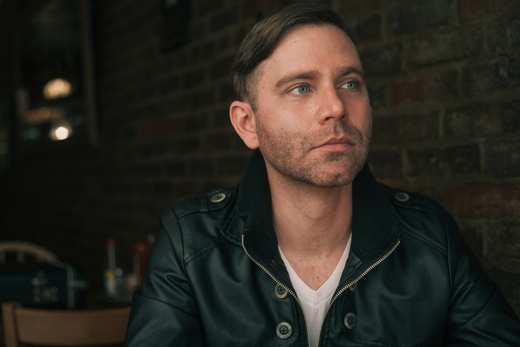 Shane currently plays for and writes with several Nashville artists, plays every second Saturday at Merridee's in Franklin, TN, and headlines the Genrelicious Showcase in various cities featuring artists of all styles and backgrounds. Reached 13th in Best of Pop chart in 2019. In the top 20 for 8 weeks. Reached 8th in Best of Rock chart in 2019. In the top 20 for 3 weeks. Reached 15th in Best of Rock chart in 2017. In the top 20 for 1 week. Reached 15th in Best of Pop chart in 2017. In the top 20 for 10 weeks. Reached 25th in Best of Pop chart in 2019. In the top 100 for 2 weeks. Reached 69th in Best of Pop chart in 2016. In the top 100 for 1 week. Reached 69th in Best of Pop chart in 2015. In the top 100 for 6 weeks. Reached 100th in Best of Pop chart in 2014. In the top 100 for 1 week. Any art form, including music, has a tendency to mimic the real-life experiences of the artist, and Nashville based musician Shane Scheib is no exception. After spending time overseas as a Missionary, studying at Jeff Berlin’s Players School in Florida, starting a guitar club in New Zealand and salmon fishing in the Bering Sea Scheib, acting upon a suggestion of the boat’s skipper, packed up his bags and moved to Nashville to pursue music fulltime. The chameleon like nature that defines his life’s story is directly reflected in his new release, the 6-song EP Genrelicious. Each song represents a different side of the songwriter’s musical background. From jazz to country to industrial and beyond, it’s all there on this eclectic collection of tunes. The album kicks off with the track “Bossa Sauce,” which, though the title may suggest, is a little far removed from a traditional Bossa Nova track, but it is interesting nonetheless. 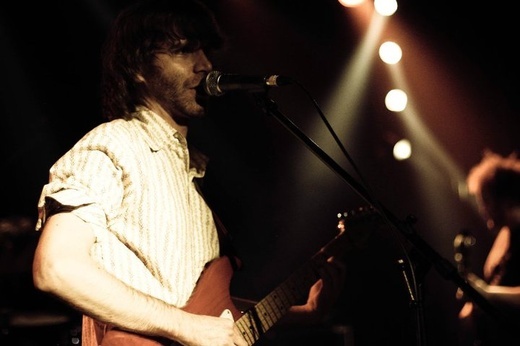 An instrumental, Scheib lays down a funky, Latin-based groove and then layers a single-note guitar line over top that develops throughout the song. With the addition of some ear grabbing, rhythmic punches around the middle of the tune, the guitarist keeps the interest level flowing... ...his strengths seem to lie in the funkier, more rock-oriented tracks such as “Fung Ku” and “Indie Event”... the guitarist sounds right at home during these hard-driving numbers, digging deep into the pocket and laying down some very solid rhythm guitar work... Scheib can really wail and these tunes showcase his strong ability as a rock guitarist. Not to be ignored is his tone, which ranges from lightly distorted on the first track and heavily industrialized on the latter. By adjusting the level of his crunch, Scheib not only elevates the energy on these tracks, he also keeps the listener guessing as to what’s coming next, a skill that any entertainer needs to succeed. Ever the musical chameleon, Scheib then picks up a banjo, grabs a microphone and delves into the country inspired, tongue in cheek song “Fee Free.” Showing his comical side, but with the musicianship to back it up, might have backfired for other artists, but Scheib pulls it off. The song will put a smile on one’s face, but also get their feet tapping at the same time, not an easy thing to pull off. There’s also a killer, though short, chicken picken’ solo at the end of the track that definitely leaves one wanting more of this style of playing from the multi-faceted performer. ...Scheib is successful in showcasing the myriad of genres and styles... the talented composer and performer could easily take any of these six songs, follow those particular genres out with 8 to 10 more tracks, and come up with six release-worthy albums. After hearing what Scheib can do with an EP, one can only hope he takes these musical nuggets and sees them to fruition. 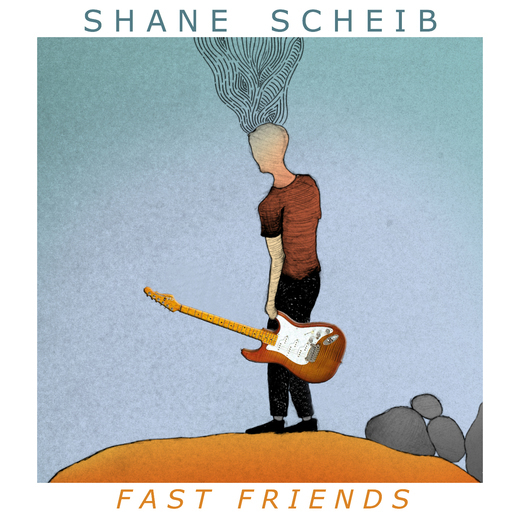 Nashville based singer-songwriter and guitarist Shane Scheib recently self-released his new standalone single, “Just Friends”, which is available now on iTunes. 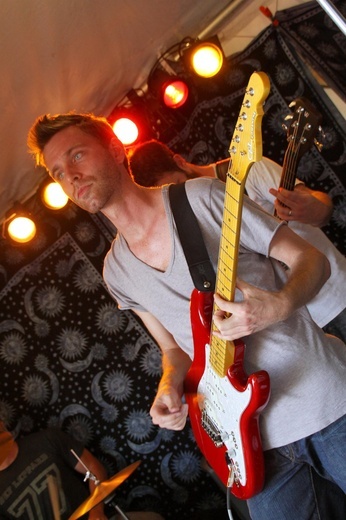 Shane has studied Jazz guitar at Jeff Berlin’s Player’s School of Music in Clearwater, Florida and with jazz guitar guru Yuzuru Tanakura, so he knows his way around a guitar riff. He also founded and played in the alt-rock bands Native Born Alien and Fall Away Façade before becoming a missionary and moving overseas to New Zealand. After his return to the states, he wrote and released two singles, Blood on the Floor and Epic Epic Epidemic as well as an EP, Genrelicious, which is also the name of a live showcase he headlines. 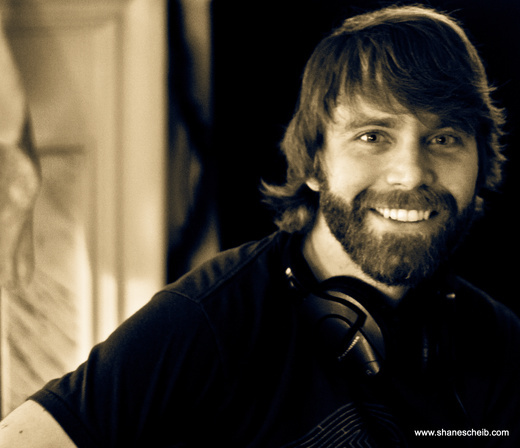 By using his training in Jazz and incorporating his other influences such as folk, pop and rock, Shane has created a diverse yet cohesive and highly accessible sound. “Just Friends” is an acoustic based folk-pop song featuring some propulsive hand percussion and cyclical acoustic guitars for a laid-back beach-blanket vibe. The song is highlighted by an infectiously catchy chorus that will work its way into your brain and stay there for days, though part of that may be because the main vocal melody shares a passing resemblance to The White Stripes classic, “We’re Going To Be Friends”. Shane’s smooth, Jack Johnson-like vocals are perfectly complimented by the pretty, soulful voice of fellow Nashville based and Christian singer-songwriter, Isis Mena who performs under the moniker, IS, on this classic Country & Western-style duet. In addition, Shane has also created a t-shirt that is for sale through his website, to go along with the song that features the logo: “Just Friends > Unjust Friends”, which is a play on the song’s positive lyrics. I have never heard of someone making a t-shirt for a song, except for the iconic “Frankie Says Relax” shirts from the 80’s. But who knows? Shane Scheib’s new single “Just Friends” is catchy enough that it just might become the next “Frankie Says Relax” craze!